Adblade is a unique Ad Network powered by proprietary optimization technology. The platform is designed to deliver effective, consistent content to a large audience of Direct Response Advertisers and premium publishers. 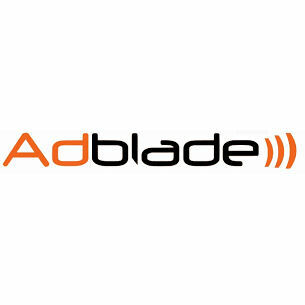 Adblade operates under the Adiant brand, a Comscore top 20 Ad Network that reaches over 500 million monthly viewers across 1000 top publishers. Adblade offers a content-style ad platform for direct-response and brand-awareness campaigns. With the combination of premium inventory, brand-safe assurance, extensive reach and proprietary ad units designed to drive ROI, the platform helps both advertisers and publishers alike. Adblade allows advertisers to target appropriate audiences and guides publishers through monetization solutions. Adblade operates under the Adiant brand, a Comscore top 20 Ad Network that reaches over 500 million monthly viewers across 1000 top publishers. OptiServe is a self-service platform enabling advertisers to easily upload NewsBullets ad units for display on any site within the Adblade network.